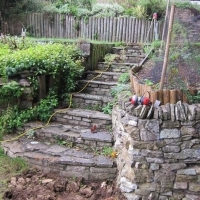 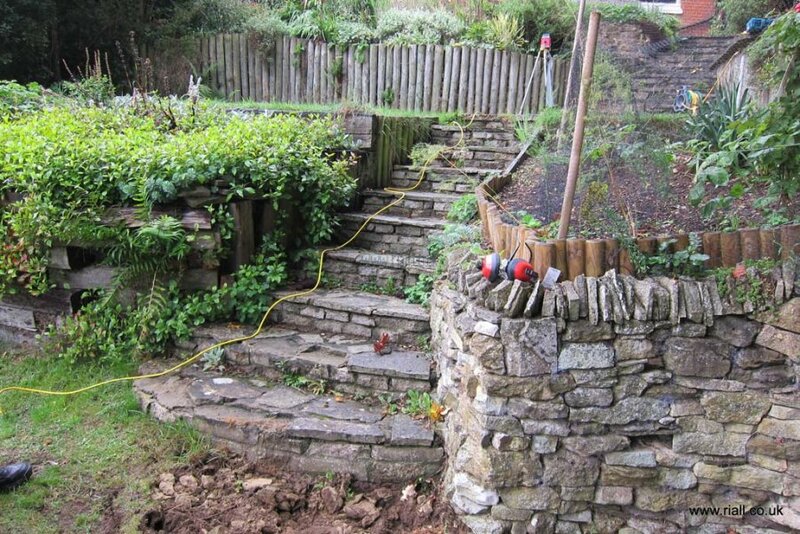 To renovate a series of stone steps that were very uneven in both height of the step (the riser) and the width of the step (the tread) a combination of which made walking up the steps uncomfortable and at times dangerous. 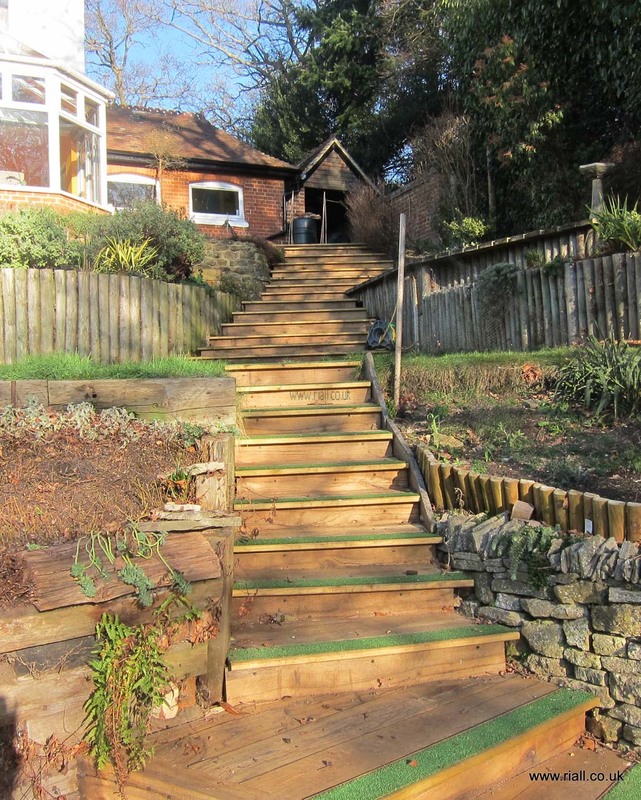 This project was quite taxing both phyically and mentally as all the materials had to come through the house and several doorways and then down the existing steps. 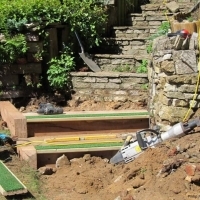 Each of those sleepers weights around 50 kg or more. 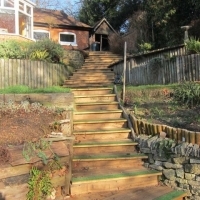 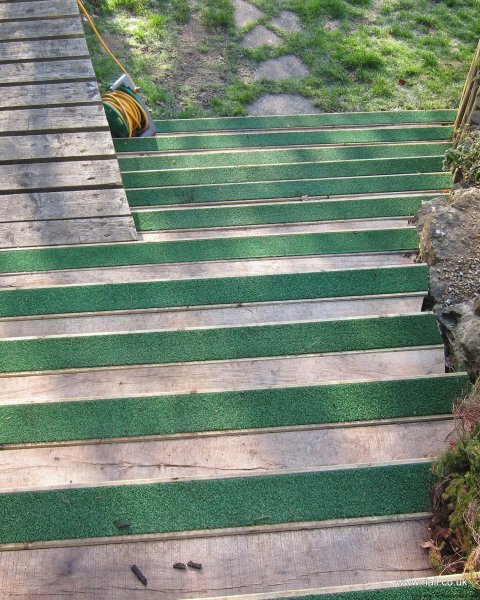 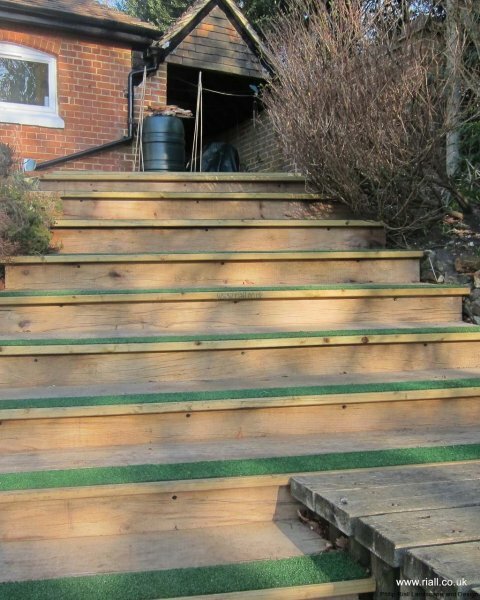 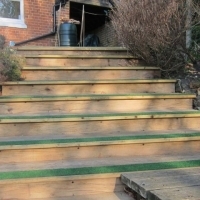 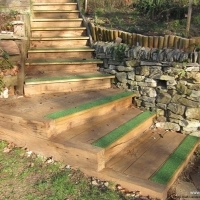 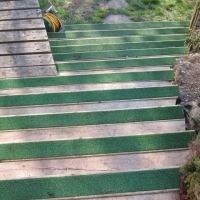 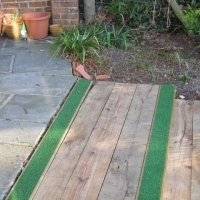 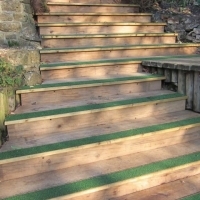 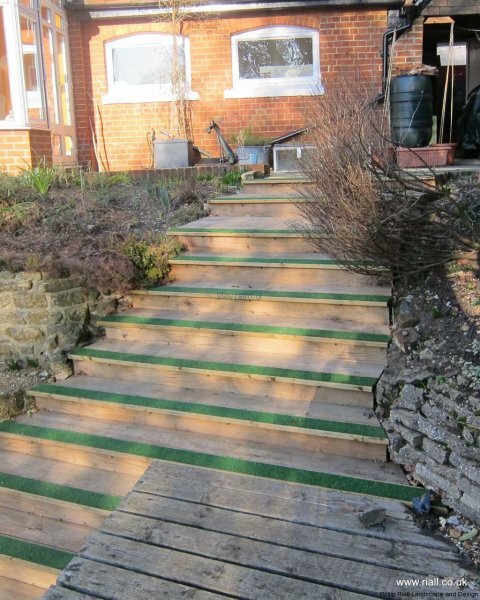 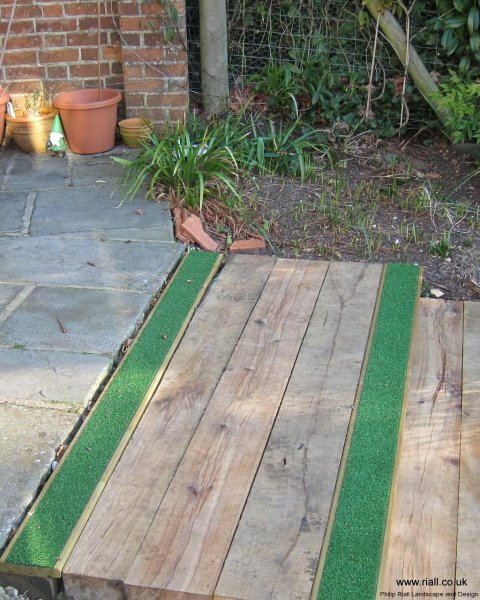 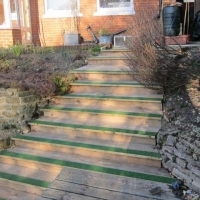 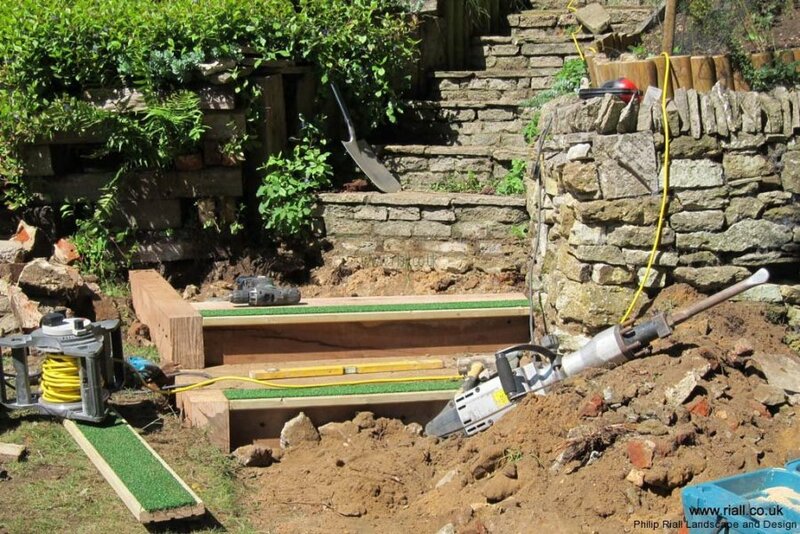 Then we had to cope with getting an even rise for each step to fit in with existing ground levels and garden features. 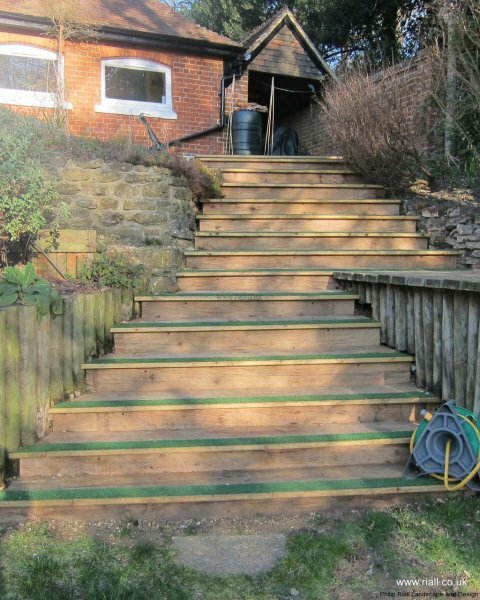 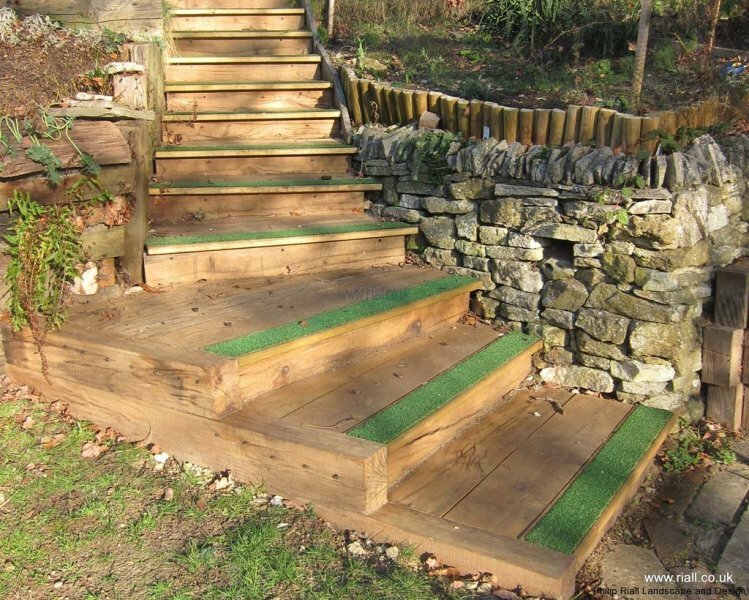 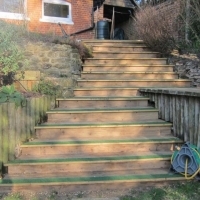 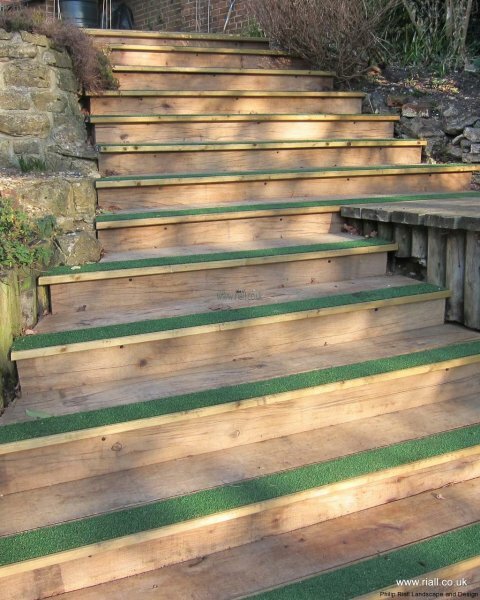 A bespoke set of oak steps that are much more user friendly and safer to walk up, they look great and will last for years. 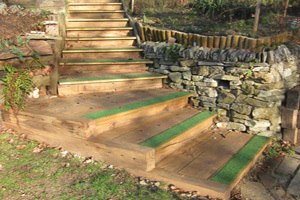 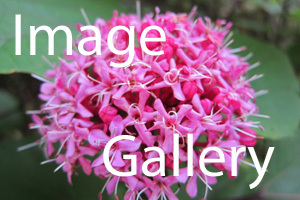 Customers were delighted with the finish.